Still more recommendations from the 2013 Global Congress Research Survey, focusing on methodology, communications, and social movement issues. This is Part 5 of 5 (for now). If you’d like to submit a couple paragraphs about research priorities, you can do so here. We’d be happy to publish Part 6, 7, etc..
More research ideas here, here, here, and here. Finally, as with any internet studies, methodologies still need to be developed, to provide in-depth understandings of use of content. Copyright, just like digital technologies, is a difficult matter, and thus not easily related by respondents in interviews, and even harder to understand through questionnaires. Our community needs more opportunities to meet, and discuss in particular theoretical matters – it often feels like research is very policy oriented, which has the attached risk of being relatively shallow in terms of theory. Both researchers and activists would benefit not just from strong ties between research and activism or policy work, but also a strong shape of our research community itself. In terms of a broader audience and policy debate, we believe that research provides ways to bring IPR issues into a public debate in a manner and scale that cannot be achieved with policy communication alone. We’ve been successfully using in Poland research studies as means of drawing public attention to key policy issues around IPR and public interest. Research also provides strong arguments to policymakers – even if they initially reject the outcomes. Methodologically, more comparative studies of IP “on the ground” would be valuable – i.e. studies that consider global regulatory issues in terms of the difference they make to people’s communication practices in everyday life. 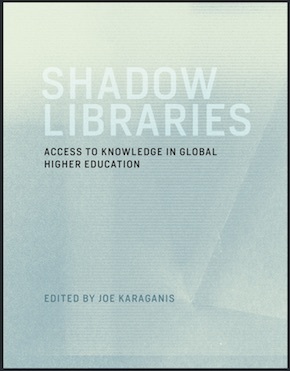 Methodologically, these studies should be attentive to the already-existing informational needs and practices of citizens in different nations, which vary considerably, and thus derive research questions from pilot studies based on finding out what these are, in contrast to the international studies that weight the “effects” of a singular policy (WTO rules, corporate policy, etc1 across multiple sites. The task would then be to link such studies up with the top-down regulatory studies, providing a kind of meso-level bridge that can connect the two perspectives. Such work could follow in the path of the MPEE report, which provides a powerful template. Peter DiCola, Northwestern University, USA. The main need is the same that it has always been: data for empirical research. A few economic researchers — Mike Smith, Rahul Telang, and Brett Danaher — now have access to industry data, through the labels and studios. A few more researchers are working with or at the big tech companies. But the data are privately held. Despite the quality of the work that does exist, there is too little of it. Institutional support is also needed. It is unclear whether there will be any funding for disinterested research in these areas. The politics of copyright continue to push individuals, firms, and other organizations to the poles of the always-heated debate. There is little space and little money in the middle. Several non-profit groups in the media and copyright space are struggling or have closed. Evelin Heidel, Fundación Vía Libre, Argentina. I think that the main issue is not only to do more research but also to communicate better the results of research projects. Most of the results of research projects are not reaching the public policy makers, and in general few of the activists in this area use these results when they engage with policy makers. I think more research should focus on the relationship between public policy and corporate lobbying. Research should also considered other positions, beyond Creative Commons, that may not be business models but that represent economically viable ways of promoting cultural production, like Basic Income. Research should also focus more in the edges of Internet, were actual exchange and production happens, regardless of policies. My own goal is to start an on-line magazine called Infrin.gr based on the conclusion that all culture is infringement. A primary goal would be to stop questioning the hopeless possibilities of intellectual property and specifically copyright and just describe the infringing qualities of cultural exchange and production in the 21st century. The audience ideally would be as mainstream as possible and probably will be in English. At the last couple Global Congresses, I’ve been struck by the thinness of the connections between work on access to medicines and work on copyright. Concern with ‘intellectual property’ connects them at an obvious level, but doesn’t explain how and why these two loose groups (and not others1 have co-evolved and chosen to convene together over the last 10+ years. There have been efforts to develop intellectual foundations for this ‘field,’ notably Krikorian and Kapczynski (20101, but very little on the political and institutional history of this longer arc of academic and activist work. I think that this lack of histories of the field is beginning to be a loss for the field and–in small ways–a barrier to entry to the kinds of conversations we try to hold at the Global Congress. I think there’s a great, maybe collective, opportunity to write the history of A2K in the past two decades, now that it has one. I’m also increasingly interested in non- or not-quite IP issues that seem underrated in how we account for incentives to produce. How many movies does a globalized film market need, and what happens to the film industries that aren’t in that top-level finance and exhibition loop? How does the availability of past audio-visual goods compete with the production of new ones? To what extent have some traditionally IP driven fields shifted to more direct rentseeking strategies, such as the explosion of public subsidies for film production? The effects of social media on social movements remain surprisingly understudied (with some notable exceptions1, particularly within political studies. 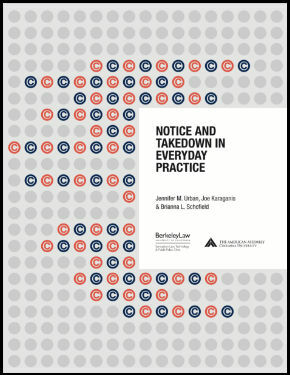 Because copyright activists have been pioneers in online activism and the use of social media, their experiences have the potential to teach us a great deal about the potential and limits of online activism to influence policy domestically and globally. It’s not news that the rising public interest in copyright has overturned copyright politics-as-usual around the world. However, while there have been some spectacular successes – the anti-SOPA protests, and the anti-ACTA protests in Europe and Mexico, to name only a few – the long-run effect of this public engagement is still unclear. Understanding copyright’s new politics is key to being able to implement successful reforms that encourage both creative production and dissemination. Is Susan Sell right when she suggests (in her Revenge of the Nerds article, citing Ron Deibert1 that the “transnational activism” of the type seen in the SOPA/ACTA protests “might offer a ‘potential counterhegemonic force’ against vast material resources and state power”? 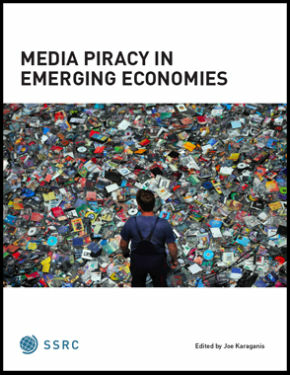 Key to answering this is examining how the copyright-critical movement might transition from blocking bad policies and treaties at the domestic level to doing the same during treaty negotiations, and to influencing the future direction of copyright laws/treaties. 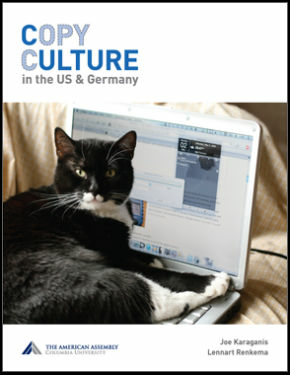 Also: Is the global copyright-critical movement reinforcing North-South divisions in areas such as issue framing? We also need to understand how the concept of the “public interest” in copyright has been constructed, and by whom. How is the funding of public-interest groups, particularly from companies like Google, shaping copyright activism? Other questions of interest include whether this is a copyright/IP movement, or an Internet freedom movement. The two aren’t necessarily equivalent, and the answer has implications for the politicization of all forms of IP, as well as the potential for dramatic global IP reform. I attended the Global Congress at American University expecting to see a bunch of left wing nut jobs moaning about the unfairness of the patent system instead I found an engaged community calling attention to much of the problems and dysfunction in the system I was familiar with. These people were having the same experience that I was having – everyone was being beat by the patent system that had become a very private club almost inaccessible without spending lots of money. Simple things like letting the visually impaired access digital assets require herculean effort to fix. Artistic works couldn’t be completed because eight notes of a song were needed and couldn’t be licensed.